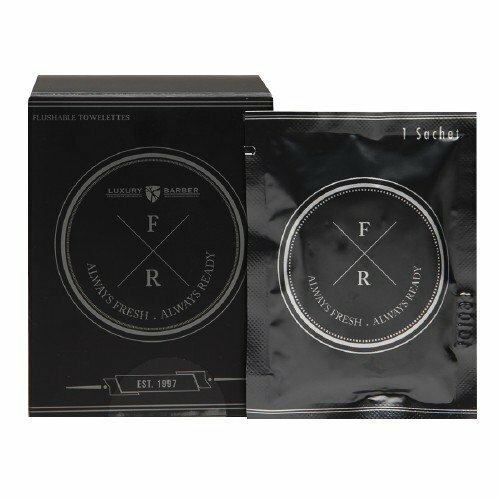 The Fresh Richie Men's Body wipes have a light fresh scent. Nothing over powering, no strong perfume or cologne smell which is great for me since most scents will set my allergies off. Think of a baby wipe meets wet nap but for men. Great to have in the car or in a travel bag. Freshens you up on a hot day. Easy to use individually wrapped. Ten in a pack. Great for stocking stuffers. What Luxury Barber has to say about their product. Disclosure: MarksvilleandMe received one or more of the products mentioned above as part of a promotion with Tomoson and Luxury Barber. Regardless, MarksvilleandMe only recommends products or services we use personally and believe will be good for our readers. Some of the links in the article may be “affiliate links.” This means if you click on the link and purchase the item, I will receive compensation. If you would like MarksvilleandMe to review a product or service please contact us at marksvilleandme@gmail.com.